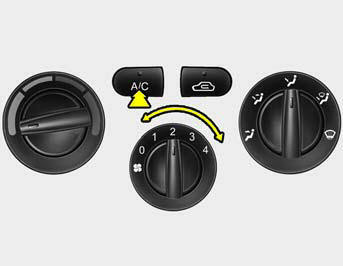 o Turn on the air conditioning switch by pushing in on the switch. The air conditioning indicator light should come on at the same time. position on the air intake control.